World soil day was celebrated at Krishi Vigyan Kendra, Arwal on 5th December 2018 in the presence of large number of farmers and farm women. 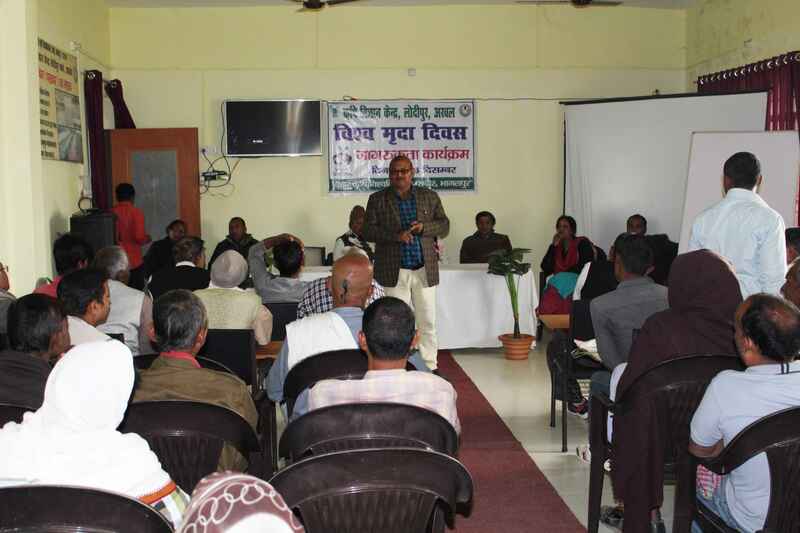 A total of 75 farmers were made aware about the importance of soil health management and various factors to improve soil health were deliberated upon by oral and audio visual presentations. 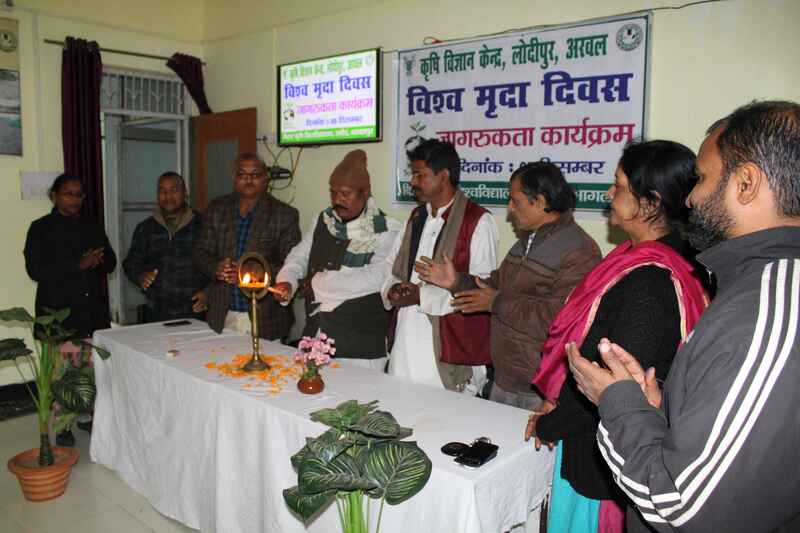 The programme was inaugurated by Ex-Mukhiya of Belaon Panchayat, Sri Dinanath Paswan and five elected representatives of local Gram Panchayat bodies. Two video films on ‘Soil testing methods’ as well as ‘soil health management’ were also shown to the farmers present on this occasion. Senior Scientist & Head, Dr. Surendra Chaurasia deliberated upon the important steps to preserve soil health for sustainable agril. 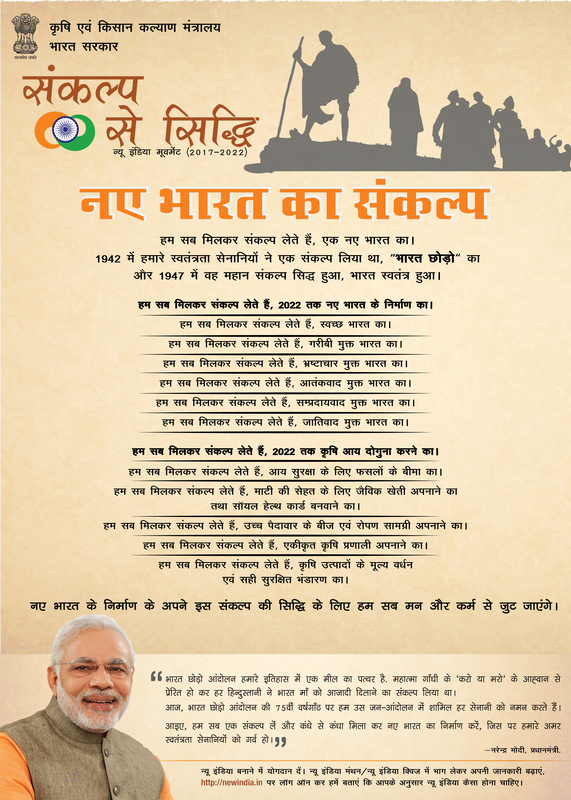 production and productivity. Importance of soil testing and its methods were also discussed in detail for maintaining and enhancing agril production in view of changing climatic conditions. Image: Sr. Scientist & Head deliberated upon the important steps to preserve soil health.